Walt Disney World Orlando offers everything from thrill rides to toddler amusement, world class shows, restaurants, beaches and mountains. At EPCOT you can visit countries around the globe, eat their foods, take a trip to mars, be a test car dummy, or be shrunk down in size. 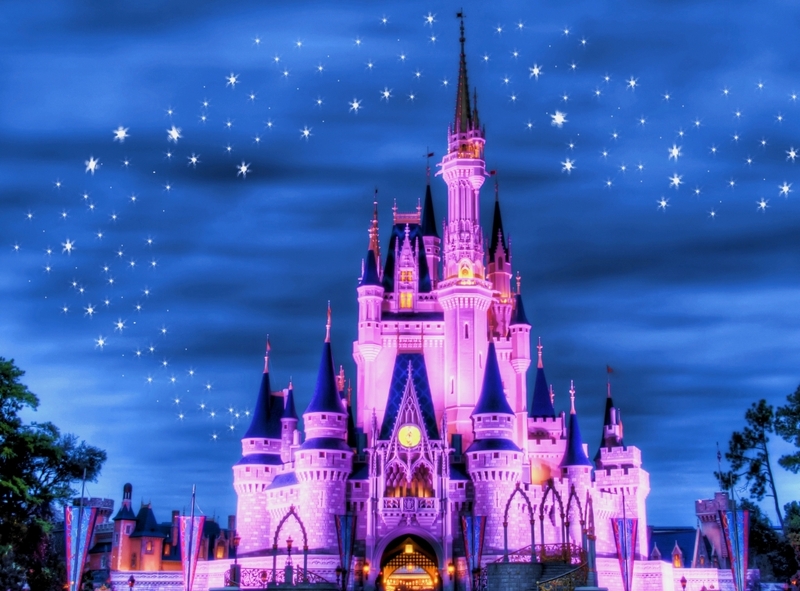 And these are just a few things available to do at Walt Disney World. There are plenty of new and updated attractions for those who are regular visitors. The updated EPCOT Spaceship Earth ride and exploration center following the ride is amazing. The end of the ride will have you play a part in the exploration center. Be sure to keep your eyes open and proceed first to what we will refer to as “center-stage” to not miss it. For the young ones, particularly your little princesses, there is a new beauty salon in the Magic Kingdom Castle where a little girl can dream of being a princess and actually be transformed into one right there. It seems to be a very popular activity and you can make reservations in advance. They will also do the princes’ in your life but they may like just going to the old fashioned barber shop at the front of Mainstreet USA which is a stand in line arrangement and they do take young and old alike and if it happens to be your little ones “first” haircut, they will save a lock of hair and give you a special certificate. A great touch and keepsake! There is so much to do and see and you won’t want to miss a thing but for those who need mobility assistance (or just don’t want to do so much walking) Disney welcomes Orlando scooter rentals, a.k.a. mobility scooters, electronic convenience vehicles (ECVs), electric wheelchairs and with the recent advancement in technology and advanced engineering design, mobility scooters are now easy to transport, yes, transportable scooter rentals, that will fold-up or easily break down and fit in a compact size rental car trunk. Scooter Vacations offers four models to choose from that handle up to a 450 pound capacity. They are lightweight yet very sturdy and roomy not to mention sporty looking. You no longer have to limit yourself to a older technology, hard to maneuver, slow, behemoth scooter rental. 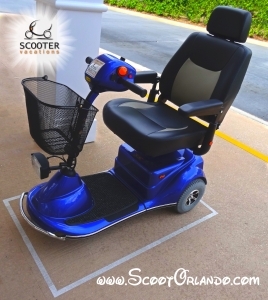 If you are going to Walt Disney World and are considering renting a wheelchair from Disney, a mobility scooter (also known as an electronic convenience vehicle or ECV) from Scooter Vacations may be a much better choice. Mobility: Our mobility scooters are self-propelled so you won’t need to rely on others to assist you. Weight restrictions: Disney wheelchairs have weight restrictions (350 pounds) and do not allow you to put children on your lap. Our scooters can facilitate more weight. Availability: Wheelchair rentals at Disney are available on a first-come, first serve basis so you may not be able to rent one on busy days. When you book with Scooter Vacations, we guarantee availability. Park Hopping: If you plan on park hopping (visiting more than one park in a day), you’ll need to return your wheelchair andrent a new wheelchair at each park if you rent from that park. Rent from Scooter Vacations and your scooter stays with you all day! What Size Scooter Fits on Disney World Buses? Disney World has 3 modes of transportation to consider, Buses, Boats and of course the Monorail system. The requirement for transporting a mobility scooter on public transportation is dictated by he Federal American Disabilities Act Law. It says that public transportation must accommodate any approved handicap transportation device such as a wheelchair, power chair or mobility scooter aka electronic convenience vehicle ECV, that fits within the space of 30 inches wide by 48 inches long. There are many ADA approved ECVs that do not fit within those dimensions. 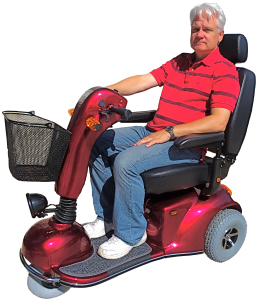 You do not have to fit within those dimensions for an ECV to be an approved device but if you want to take one on public transportation such as Disney World buses, certain boats and the monorail, your device must fit within that dimension. To measure the size of ECVs for their buses, Disney World has painted boxes that scooter riders can pull into to easily assess they fit within the size guidelines. It is very important to note here that for every box I have personally measured (and I have measured many of them at Disney World) it is the outside of the painted lines that are the 30 x 48 inches. If you decide to bring your own scooter from home and it does not fit within those dimensions, I suggest you consider which of the 4 Disney World theme parks you plan to spend the most time at and choose your hotel accordingly. For instance if you stay at one of the EPCOT resorts you can visit both EPCOT and Hollywood Studios without ever needing to get on a bus. Also you can get to Magic Kingdom by riding through EPCOT from the International Gateway entrance located between England and France and traveling to the main EPCOT entrance and exit to take the Monorail to Magic Kingdom. To ride the Monorail with your scooter they will place down a steel ramp for you to ride onto it and they seem to bit a little less fussy about the size but technically they could deny you access. All 6 Scooter Vacations models fit within the designated 30 x 48 inch size however for the Dream model with its unique motorcycle type look and large wheels which provides a great turn ratio and smooth ride, you do have to turn the handle bars all the way to the side for the front wheel to turn to a 45 degree angle to fit. Scooter Vacations provides 24 hour customer service, will come INSIDE the park to service you and the scooters are specially engineered to provide 12-15 hours of ride time. See all there is to see, get the best, most advanced and easy to use and transport Orlando scooter rental from Scooter Vacations. Reserve your Disney Scooter now.